Green the color of optimism, growth, renewal and happiness. Couldn’t we all use some of that right now? 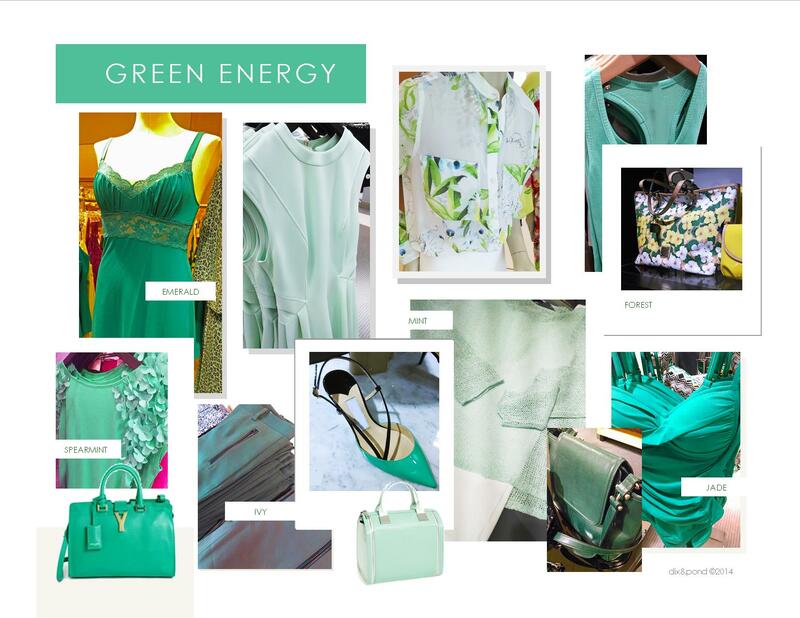 Bountiful greens are the biggest trend for spring 2015 fashion. Expect the unexpected, you will see them everywhere including sportswear, handbags, lingerie, active wear, swim, footwear , accessories, jewelry and in beauty. These exuberant greens range from the palest mint, jade, spearmint to deep dark forest. They cast slightly blue. Green can be a tad retro, bohemian or classic. This is the most sustainable form of green energy. 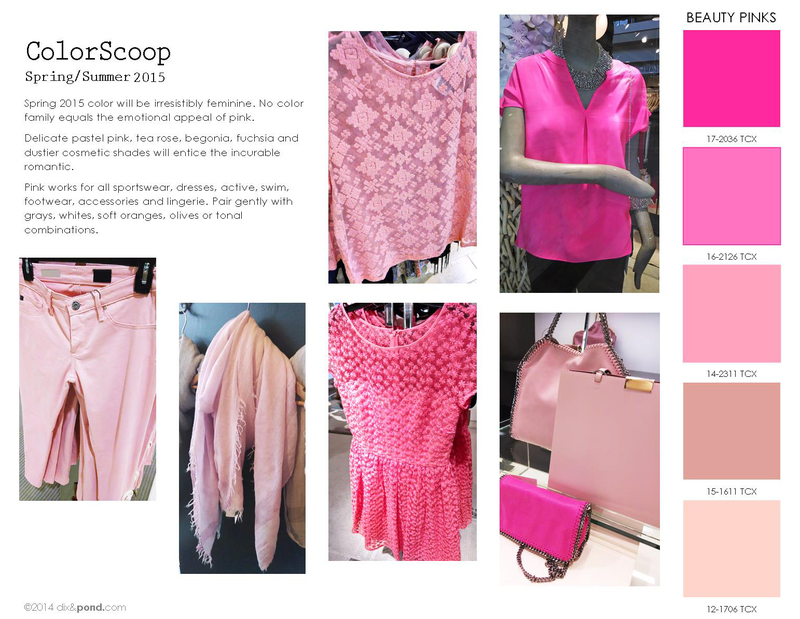 Check out COLORSCOOP, the best new women’s color trend forecast! Fresh greens are the big news for spring 2015!